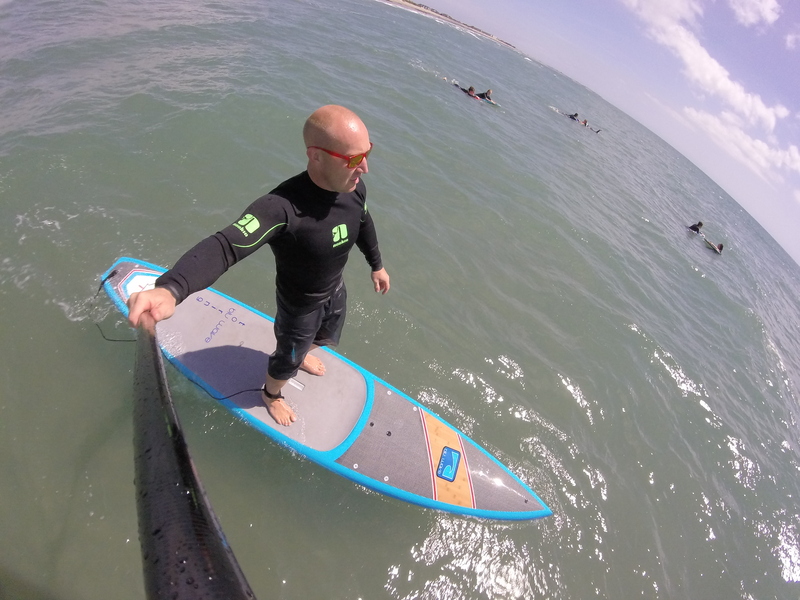 Check out my review of Blu Wave SUP’s Fathom 12.6ft Tourer on SUP Mag UK. Blu Wave SUP UK recently took delivery of their new 12.6ft Fathom touring board. Pitched as a lively all rounder we were keen to hop on for a spin and got the opportunity during a recent breezy/mushy swell period. Brand manager Nick Hepworth was keen to point out the construction methods used in the Fathom so we duly took note. Featuring an extensive array of carbon material, mixed with wood sandwich, it’s a lightweight stick that’s easy to transport. The full cockpit deck pad is a nice addition for those with ‘office’ feet, although we couldn’t help but wonder how much further weight could be reduced by swapping this for thinner material. That said, there’s no hassle getting the Blu Wave Fathom to the put in and we were frothing for a session.